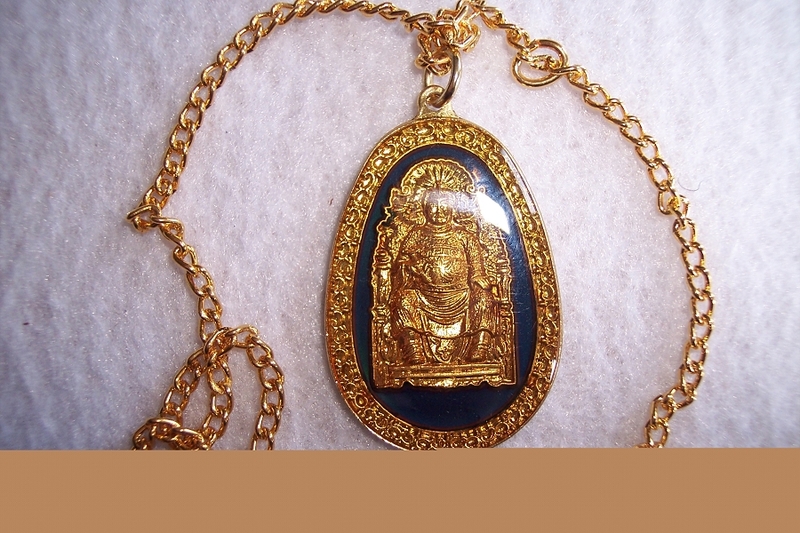 Buddah Pendant with 25" Gold color Chain. The Pendant changes color when exposed temperature change. The Pendant is approx. 1"x 1 1/2". Comes in a gift box. Retail Value $15.00.